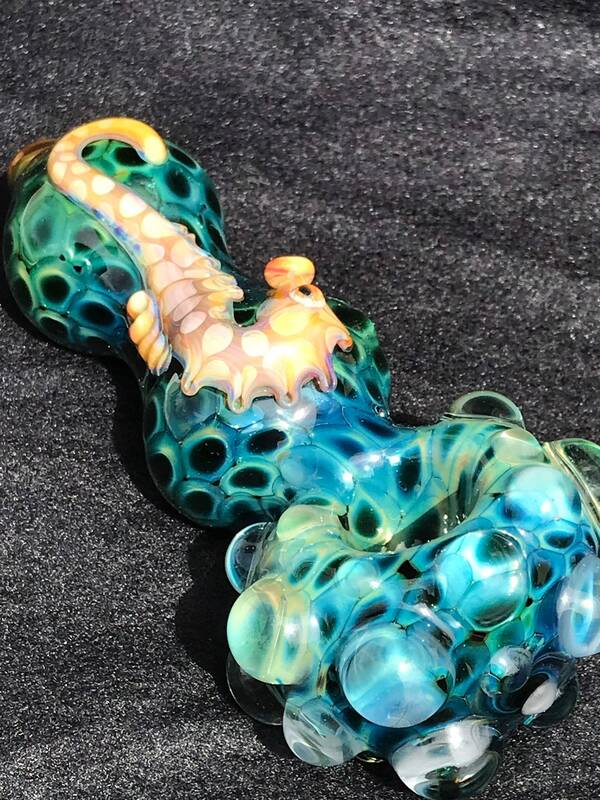 24kt Gold and Silver Fumed over a black pipe. 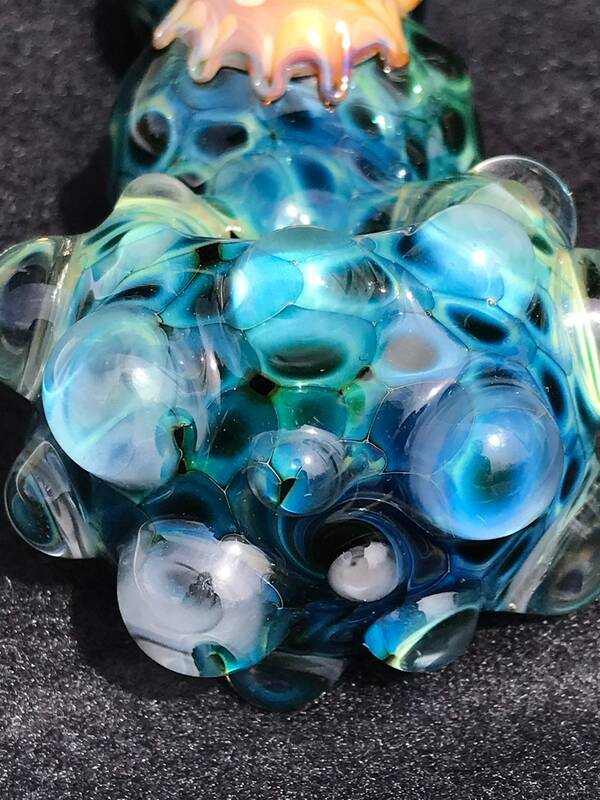 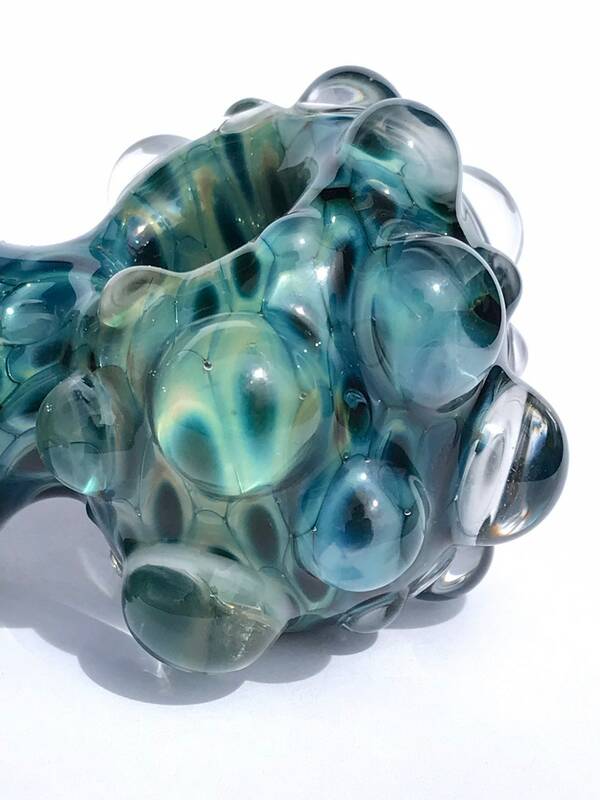 It has been Encased with dots for a extra durable glass. 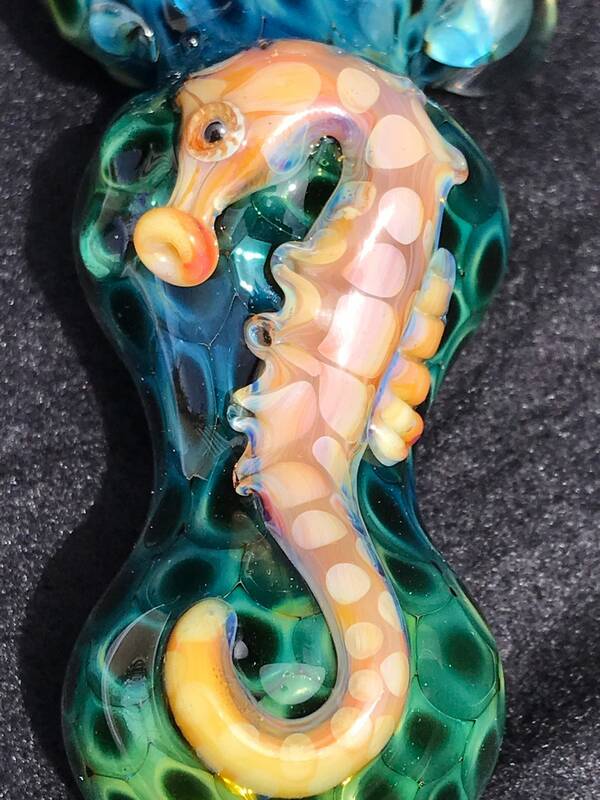 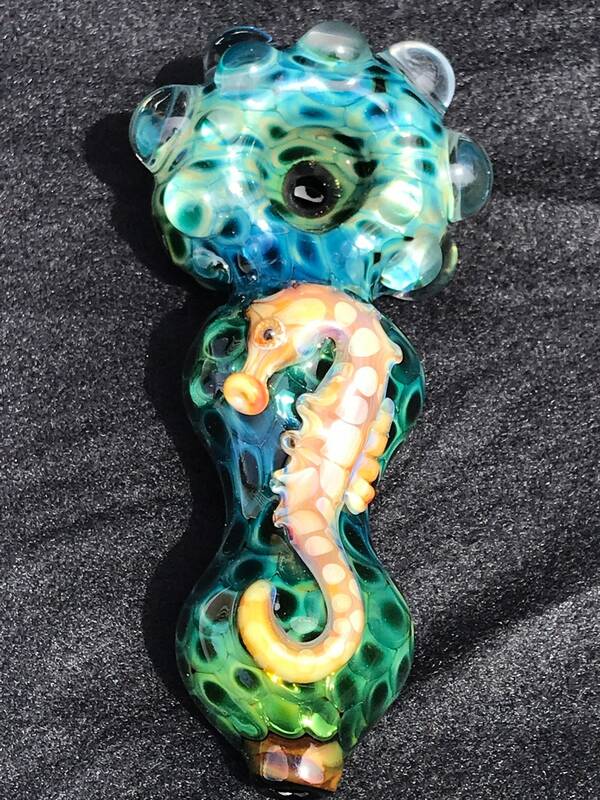 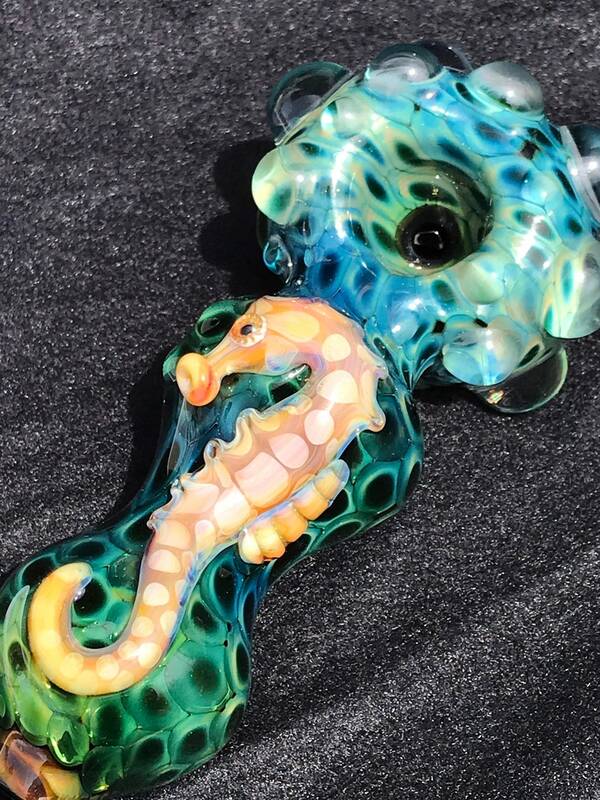 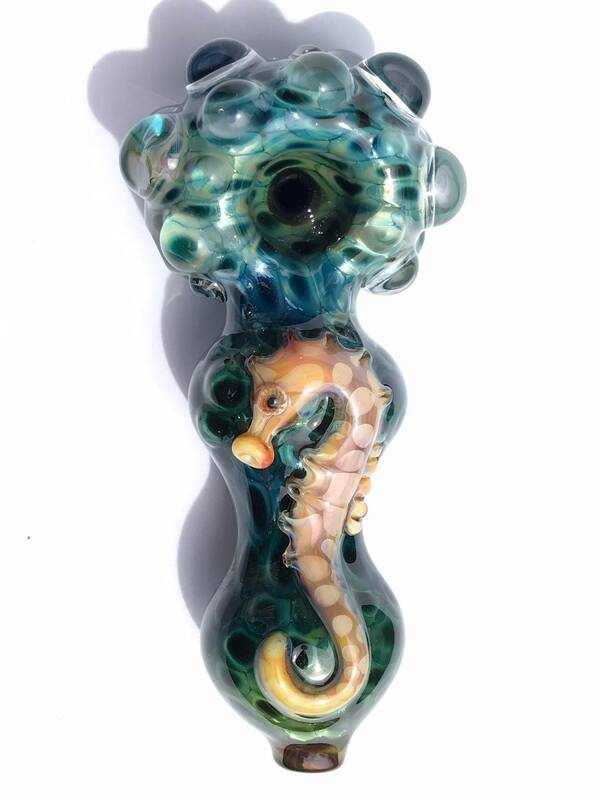 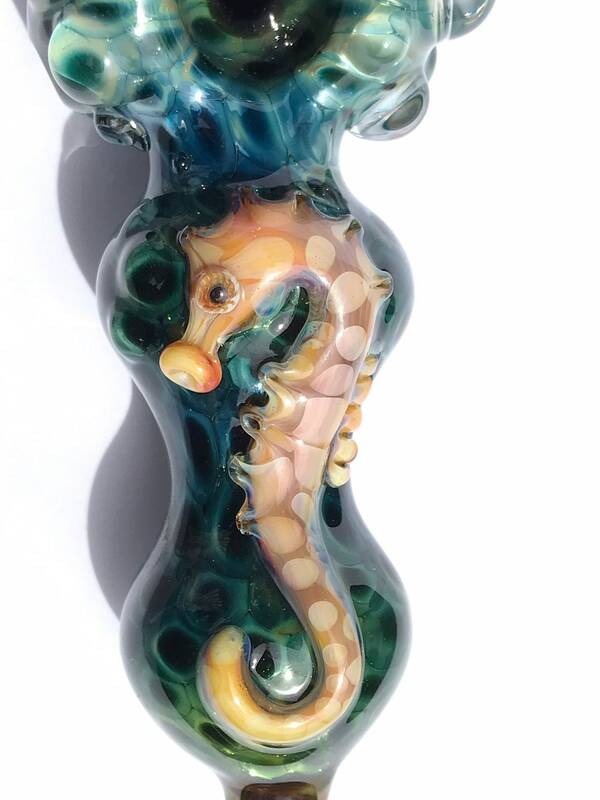 Sea Horse swimming on the front of the piece!